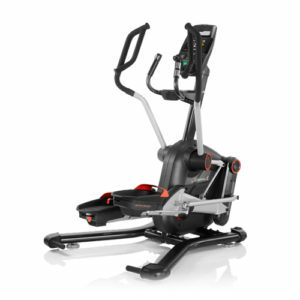 BowFlex LateralX LX5 Review by Industry Experts! 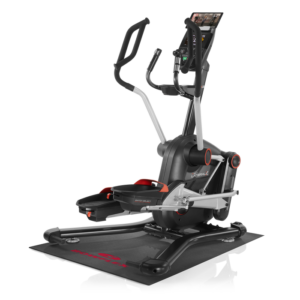 The LateralX machines are another innovative product from Bowflex, a brand known for creating new takes on the usual machines. They function in a way that is similar to an elliptical, except that your feet are going to be moving in three directions. That may sound crazy, so let’s break it down. According to Bowflex, the machine is designed to help you move in a way that is more true-to -life. You don’t only move on one plane of direction in real-life, so why should your exercise be any different? Since your body moves in all different directions and engages multiple muscle groups at one time, the LateralX machines were designed to do just that. Here, we’ll talk about the LateralX LX5, but you may also want to check out the lower priced LateralX LX3. 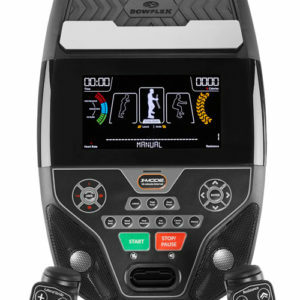 Mid Week Sale Ends Thursday: Use the Promo Code on the Bowflex Website to SaveUse Code “TAX2019” for $300 OFF and $25 Shipping on the LateralX LX5! On a traditional elliptical you are moving your legs both up and down, and front to back, on one plane of motion. The LateralX series adds a third component to this by also moving side to side. It looks a little like downhill skiing, except that the LateralX machines provide the same low-impact workout that you look for in an elliptical. And that’s just the legs! The machine is also designed to have you use your arms so that you are also engaging your arms and shoulders in a push-pull motion. In addition, there are also hand grips that place your body in a squat position while you do the same movement if you are looking for even more burn. These different movements and positions allow you to engage more muscle groups than you would on other exercise equipment. According to Bowflex, the LateralX is going to give you a shredded body in 16 minutes a day. It may be worth noting that this is less cardio activity per day than The American Heart Association recommends for cardiovascular health. They also feature individuals in their videos that are clearly in good shape and spend a lot more than 16 minutes per day exercising on one piece of equipment. It is probably safe to say that not everyone will look like the people in the Bowflex videos just by using their machine for 16 minutes a day. It is also important to remember that exercise equipment is one tool in your fitness arsenal. You need be looking at your diet and your overall health as well. That being said, using the LateralX machines as part of a larger overall picture is sure to help you reach your personal fitness goals. Bowflex also says that according to the LateralX University Caloric Study, the LateralX machines burn 39% more calories in that same 16 minute window than traditional ellipticals. We were unable to find the actual study parameters to confirm how the study was performed to reach such conclusions. Lateral Movement – Regardless of time spent or calories burned, it is obvious that incorporating lateral movement into your workout will help fire up muscle groups that you wouldn’t otherwise. This is also incorporating movement that is natural for your body outside of the gym. When you are moving around in the world, you aren’t only going forward and backward. This additional plane of movement may not be ideal for those that suffer from hip pain. The side-to-side motion, as well as the squatting position option require a good deal of hip mobility, so that is something to keep in mind. However, the LateralX LX5 has an adjustable lateral range so that you can find the side-to-side motion that best suits your ability. Low-Impact – Like a traditional elliptical, the LateralX machines are going to give you a low-impact workout that is great for people that are rehabbing from an injury or that suffer from pain in their knees. 10 Resistance Levels – If you are looking to add more challenge to your workout, you can adjust the resistance level on the LateralX LX5. This is a slight upgrade from the 8 levels on the LateralX LX3. This also gives you the option to do HIIT workouts based on your speed and resistance levels. 10 Workout Programs – If you are looking for some guidance when it comes to your workout, you can choose from the 10 pre-programmed workouts to get yourself moving faster. Integrated Heart Rate Controls – The heart rate controls on the LateralX LX5 are on the handles, which is convenient since this machine is designed for you to hold onto them at all times. It also comes with the chest strap if you aren’t wanting to have to think about your hand placement. 7.5” Backlit LCD Display – We expected to see a larger screen on this model, not only because that seems to be the trend, but also because of the $2699 price tag. This is also the same size screen that you find on the LateralX LX3. However, it does have a media rack if you want to use a larger device for entertainment purposes. 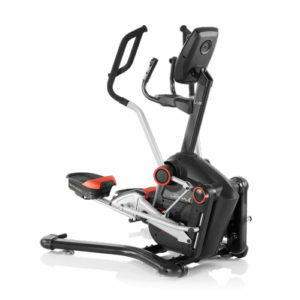 Premium Video Content – The LateralX LX5 gives you access to 30 full-length workout videos, allowing you to have the guidance and motivation of a trainer right in front of you. You can choose from options like “LateralX Basics” and “LateralX Athletic Conditioning”, or take your workout off the machine with videos for weight training and yoga. The App – Set your goals and keep track of your progress using the Bowflex LateralX app. Watch your progress from week to week to see yourself reaching all of your fitness goals. Bowflex Radio – With tons of playlists at your fingertips, Bowflex Radio will get you moving no matter what you’re in the mood for. Warranty – The LateralX LX5 comes with a 3 year frame, parts, 1 year electronics warranty and a 90 day labor warranty. While this is a better warranty than the LX3 model, it’s still not fantastic for the $2699 price tag. Bowflex LateralX LX5 Performance Pack – Comes with mat and tablet. Bowflex also offers the LateralX LX5 Performance Pack for an additional $300 landing you at a $2999 price tag. So what does the performance pack get you? The only additions are accessories, not upgrades to the machine itself. If you purchase the performance pack version of the LateralX LX5, you receive a mat for the machine and a Samsung Galaxy Tab E 9.6” tablet. To learn more, check out the Bowflex LateralX LX5 on Bowflex.com.